Providing excellence in women's health & midwifery care. Payments can be made with cash, check, credit card, HSA and Paypal. Payments are made throughout the pregnancy so that the full fee is paid by 36 weeks gestation. We aim to make home birth affordable and accessible to all. We can discuss the options of sliding-fee scale, alternate payment plans and bartering as needed. Insurance billing is available to all clients through Favored Medical Billing. 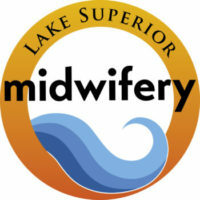 Lake Superior Midwifery is out of network with all insurance companies. Please visit Favored Medical Billing’s website to learn more about the insurance billing process for an out of network midwife and homebirth. Office visits for well woman exams, annual exams, preconception care and gynecological needs are charged according to visit type.